Kadhi or Indian Yougurt Soup has many variety and flavors using different ingredients. Any form of kadhi is my favorite. among them this Methi Kadhi is very healthy and delicious as it gives unique flavors and nutrients of Fresh Fenugreek leaves. Try this easy Recipe to make Methi Kadhi / Fenugreek Yogurt Soup. Popsicle always remind me of my childhood and ICE GOLA in summer time and make me nostalgic. Back in my hometown almost everyday we used to buy Ice Gola in summer vacation. But here we don't find those same Gola's and I miss them so much. Though we get 'Kachang' but its not at all gives the same feeling and taste like gola. So just to make myself satisfied I make variety of fruits pops and one of them is Lemonade Strawberry Ice Popsicle. You too try them and cool yourself in hot summer noons. Karela/Bitter Gourd stuffed with besan & spices and cooked in tangy tomato gravy. Karela or Bitter gourd is very well known for its bitterness in its taste and hence people usually keep away from this vegetable. But Bitter gourds are very low in calories but dense with precious nutrients. It is an excellent source of vitamins B1, B2, and B3, C, magnesium, folic acid, zinc, phosphorus, manganese, and has high dietary fiber. It is rich in iron, contains twice the beta-carotene of broccoli, twice the calcium of spinach, and twice the potassium of a banana. When it is stuffed and cooked with Besan / Gram flour with specially chosen sweet and sour spices the dish will give us double nutrients and flavours too. Follow this recipe to prepare stuffed Karela/Bitter Gourd with Gravy and believe me you will not feel any bitterness in them and will surely like its taste. Make this healthy and filling Cheesey Sprouted Sandwich for your hugry kids back from school or pack them in their lunch box. It is easy and quick to make if sprouts are ready. Here goes the recipe of Cheesy Sprouted Sandwich. An explosion of health benefits occurs when apples and celery are combined. This is due to the immune system being heightened by an army of antioxidants that ignite stronger disease-fighting capabilities and cellular protection of body systems. Celery has a balance of sodium and potassium that works to actually stimulate urine and help remove excess water and uric acid from the kidneys. If you are juicing to drop extra pounds, you can safely speed up the loss of water weight in a natural way by adding celery to your drinks. Hello Friends have you ever tried watermelon rind in cooking. We all are familiar with the delicious red sweet part of the watermelon. Well, let's not forget about the rest of this wonderful fruit. Yes try to preserve the rind(thick outer skin) instead of sending to trash, to make some delicious curry. I swear that you will definitely like the taste of rind as it flavour more like Chayote. Thanks to my Mom for teaching me this wonderful recipe. In my previous post I described about how to use Ridge gourd Peels for making Pachadi/Chutney. Try this recipe and send us feedback. Pachadi / chutney made with ridge gourd peels, to serve with rice. Preparing pachadi / chutney for a simple lunch on a hectic weekdays is really an easy and fun appitizing work. Whenever we cook recipe with ridge gourd (beerakaya / peerkankai), we simply make utilise the inside white flesh and discard the tough outer peel. Here after remember to preserve the outer thick green peels to make some delicious pachadi out of it. 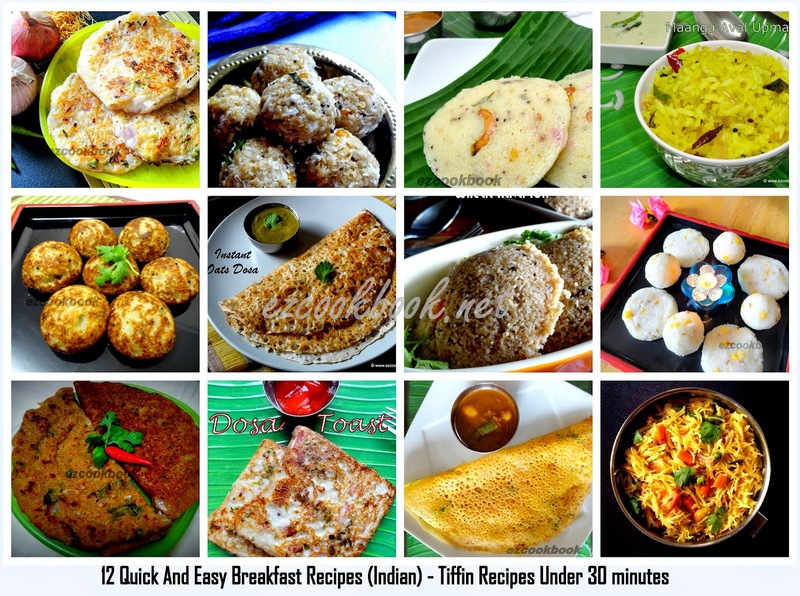 This even goes well with breakfast recipes like Idli / Dosa / Adai / Roti. So 2 in1 purpose - I mean prepare curry as well as chutney with ridge gourd. Lets get into the procedure of this simple mouth watering pachadi. Spicy ground Indian masala is stuffed inside brinjals and slow cooked. This is an ultimate Andhra style brinjal / eggplant recipe. They use to prepare many variety of stuffed curry, so called Gutti Kura. They even recognized as spicy eaters / lovers as they include high level of spice in their food. This gutti vankaya kura is loaded with full of flavours and spices that are freshly ground by roasting all the ingredients. It is then stuffed inside brinjals and slow cooked with appetizing flavours, which one can feel while cooking this recipe. And check out other Brinjals recipe. We are happy to celebrate and wish you all tamil new year as well as Vishu. The Tamil New Year, Varsha Pirappu or Puthandu, is observed on the first day of Tamil month Chithirai, the first month as per traditional Tamil Calendar. Vishu is a popular as well as prime festival in the state of Kerala where it is celebrated as the auspicious occasion of New Year. It is also considered as a festival of Feast(sadhya) to celebrate. We have compiled here few of the recipes that are usually prepared on this special occasion along with an easy recipe COCONUT LADOO. Oats & Cabbage Paratha, is a super healthy paratha. I normally add oats meal in all kind of rotis and paratha with different combination of grated vegetables in it. This one was best attempt and my son loved it like anything. This is very simple and easy recipe to make Oats Cabbage Paratha and pPerfect for kids and their lunch box . Patra also called patarvelliya is a very popular Gujarati snack. It blends the taste of sweet, sour and spicy which makes it really tasty. some people like to directly fry them or some people steam it and season it or fry it. Try this reacipe and learn how to make homemade yummy patra. Raddish cooked with moong dal in the spiced gravy. I was wondering of what else I can try with raddish other than paratha, salad, stir fry . When I googled for the recipe, I came across with this wonderful marvari sabji. The bowl of sabji not only looks appealing but also tastes great when enjoyed with rice or roti. This can be made instantly and perfect for weekday lunch idea, as it requires hardly few minutes to prepare - add all ingredients to the pressure cooker / pan, cook till turns soft and serve hot. Try this protein rich sabji to your healthy eating. Have few slices of raddish before meal, as it a good appetizer, acts as a mouth n breathe freshener . Raddish is a very good detoxifier, thus purifies bloodand improves blood circulation. Easy and healthy breakfast pancakes with Oats & Banana(eggless). Pancakes are my family's favourite breakfast. And me too, as it tastes delicious and can be made in a jiffy. All you need is to combine all the needed ingredients, gently mix and make some delicious pancakes. I tried many recipes using Oats, this oats banana pancake is ultimate as I tried many times whenever I see overripe banana which is sinfully sitting on my fruit basket . Refreshing Summer Drink with Pear and Red Grapes, to keep body cool. Its hot summer outside and we need to hunt for some refreshing juices / drinks to keep chill. Its a real task to keep us hydrate to beat this hot weather. This pear and red grape juice will be a perfect summer drink to keep us fresh and cool, also prevents sore throat. Fruits have anti-oxidants, Pears provides excellent source of water-soluble fiber.Red Grapes are rich in calcium and magnesium, so they help the nerves to work properly, and assist in enzymatic reactions. Both these fruits provides good source of fiber and rich in vitamin c, thus good for healthy diet . Always pick fresh fruits to juice and consume immediately.